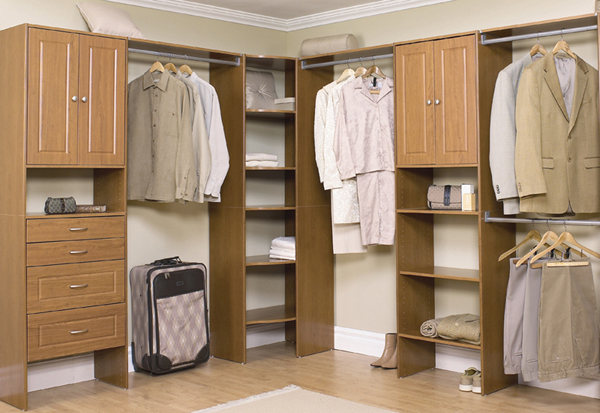 Affordably priced storage systems suitable for use around the home. ClosetMaid's Selectives range provides a clean, built in look using modular storage units and compatible accessories, ideal for projects on a budget. Please note that this range has now been discontinued so we will be unable to replenish any stock items. Some products are now already unavailable, even if they show in the brochure, or lifestyle images. For current availability of stock, please check the website/ call the office: 01622 872006. Manufactured from wood with a laminate finish, Selectives is available in White, Cherry and Maple finishes, with Nickel/ White accessories and hardware. 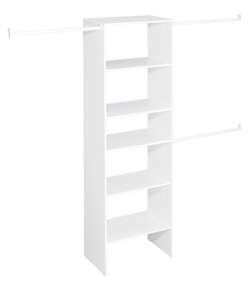 The easy to install tower based system creates attractive, durable shelves, drawers and cabinets. Soft Formed Edges - stylish yet simple. Metal drawer and door handles - ensure durability for years to come. 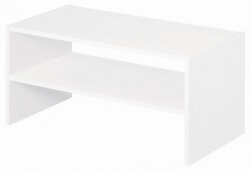 Full extension drawer glides - sturdy metal construction with smooth quiet motion provides maximum access to stored items. 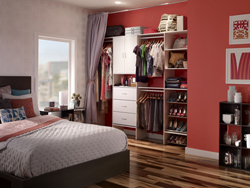 Expandable closet rods - teardrop design provides increased stability. Zone 1 - delivery charge £25 - London & the Home Counties. Applies to the following postcodes:- AL, BN, BR, CB, CM, CO, CR, CT, DA, E, EC, EN, GU, HA, HP, IG, KT, LU, ME, MK, N, NW, OX, PO (Exc. IOW), RG, RH, RM, SE, SG, SL, SM, SO, SS, SW, TN, TW, UB, W, WC, WD. Zone 2 - delivery charge £45 - Applies to all UK mainland locations not listed in zone 1 except the following Scottish postcode areas which we are unable to deliver to IV, KW1 - KW14, PA34, PA37 - PA39, PH19 - PH26, PH30 - PH41, PH49 - 50. Unfortunately, we are unable to deliver these products to any offshore location at this time. Orders can be collected free of delivery charge from our warehouse by arrangement.